There are a lot of marketing messages trying to get you to eat this or drink that, and while some are fact, many are fictions and fads. Here are the latest fads, foods and fictions on your supermarket shelves. Fad: By following the Special K plan, you will lose up to 6 pounds in just two weeks. The plan: Eat Kellogg’s Special K with 2/3 cup skim milk and fruit for two meals a day. Eat your third meal as usual. For snacks, choose from fresh fruits and vegetables or a Special K Bar. 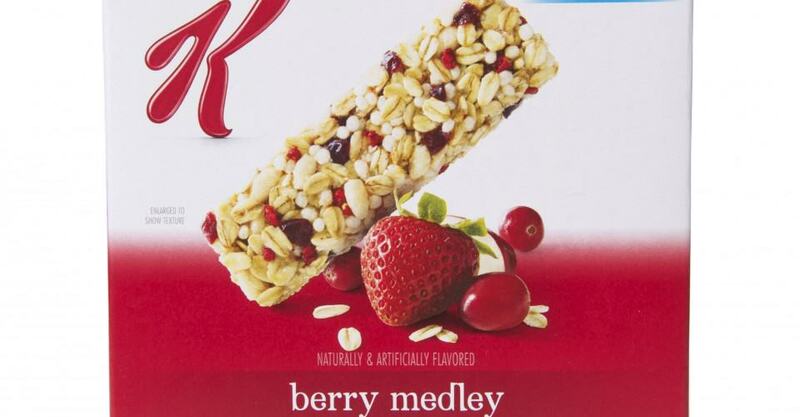 Fact: One cup of Special K has 110 #calories. Add 60 calories for skim milk, 60 to 80 for the fruit and you’re at about 230 calories per meal. Basically, you’re lowering your overall calorie intake, so of course you’re going to lose weight. However, you need to ask yourself if you can get by on just a bowl of cereal with a piece of fruit for breakfast and lunch. Fiction: There’s nothing about Special K that will cause you to lose more weight than if you were having a low-calorie, healthy, water-based soup twice a day. You could call that the Soup Diet. Or how about the Carrot Stick Diet or the Oatmeal Diet? The question is: Can you stick with any of these diets? The answer is probably no. Plus, Special K has added sugar and is one of the few remaining cereals that is not whole grain. Bottom Line: You probably can lose weight eating just cereal for two meals a day. However, if you substitute any lower-calorie food for what you ordinarily eat you will lose weight over time. Fad: If your cereal is made with yogurt, it must be healthy. Fact: Low-fat and nonfat yogurts can be extremely low in calories and have many reported #health benefits, including improved digestion, prevention of intestinal infection and increased immune function. Fiction: Unfortunately, you’re really not getting all those “yogurt” health benefits when you grab a box of Yogurt Burst Cheerios Vanilla or Life Vanilla Yogurt Crunch. The assumption that the yogurt coating is somehow channeling the health perks of regular yogurt is not accurate. Fad: Cereals, snacks, pasta, foods in all categories are becoming “whole grain” to convince you that eating them will make you healthier and trimmer. Fact: When grains are refined, fiber and other nutrients, such as vitamin E, vitamin B6 and magnesium, are removed. There has been evidence that whole grains reduce the risk of cardiovascular disease, diabetes and certain cancers, whereas refined grains do not. Plus fiber increases feelings of satiety, which may help you eat less — and lose weight. Fiction: Most whole-grain products do not have fewer calories than products made with white flour. That’s not to say you can’t find a low-cal whole-grain food — you certainly can. But while switching from refined grains to whole grains is great, some of us are simply eating too much of them. 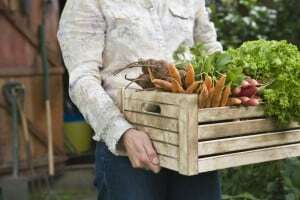 Bottom Line: They’re better, but you can’t give yourself carte blanche to eat more of anything that says “whole grain.” The calories add up just as fast. Fad: Balance Bars, Oreo Thin Crisps, Wheat Thins, popcorn packs. Food companies are packaging 100-calorie snacks on the theory that by limiting your snacks you will lose weight and be healthy. Fiction: “Know thyself.” Will you really limit yourself to just one pack, or will you be going back for more? Bottom Line: If you can avoid going for more than one pack, and it helps to limit your consumption, this is a great way to stay on track. Fad: The idea is that you will lose weight by consuming these foods, as opposed to traditional versions. Fact: Sometimes low-fat or low-carb foods really are better choices, but it depends. The best examples of great low-fat foods are dairy products like milk, cheese and yogurt, excellent sources of calcium. For instance, if you switch from 2 tablespoons of half-and-half in your coffee (39 calories) to skim milk (10 calories), you’ve just saved about 30 calories per cup. If you drink three cups per day that’s 90 calories or about an 8-pound weight loss in a year. Other low-fat/carb options that probably make a difference: mayonnaise, certain soups, sometimes even cakes, muffins and chips. Bottom Line: Don’t just go by what the label says. You also need to look at the calories, compare the taste and watch your behavior — do you end up eating more?